When you are online, your Email is your permanent address. There are many email service providers online, and Gmail is one of my favorite. With one Google account, you get access to all the services offered by Gmail. 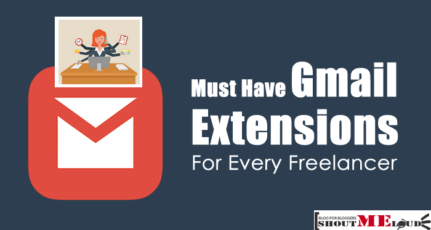 Over the years, Gmail surpassed Yahoo mail and Hotmail popularity, and now one of the best free Email service provider. 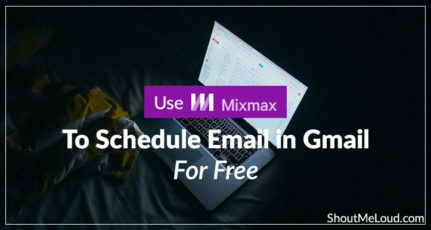 Here at ShoutMeLoud, we keep sharing various Gmail tips and tricks, for example you can do more with Gmail apart from Emailing, you can also use Gmail ID to login to Youtube account and you can create various Email templates to improve your productivity. It doesn’t matter what online service you prefer, what matter is if you are using it to maximum potential or not. To improve your experience with Google mail, here I’m sharing few tips for Gmail users, which will help you to use Gmail more effectively. This is the most useful feature and it will inform to you when your account is accessed from another location which is not familiar to you.To perform this action click on details at the bottom of inbox and now it displays a dialogue box with the last 10 successful login details,click on “signout all other sessions”. You can set an alert by click on alert preference. This is the time saving tip when you need to delete or move some messages from your inbox.For this you can select the starting message and now press shift button on keyboard,hold down it for a while and select the ending message.Now messages between starting and ending all are selected. This might be useful when you are going to a vacation there is no internet connection. In this vacation responder, you will give a message to your friends or somebody else who will contact you. How to set Gmail vacation message? Click on the settings icon and select settings option. In the general tab go to bottom and you will see vacation responder. The first day will be set to default and ends will be optional.If you want to give a date set it. Now type a subject and type the reply message what you say to your friends. If you want to send the message to your address book contacts only then tick the box and click on save changes button. Now vacation responder is ready. By turning on keyboard shortcuts you can manage your inbox, send emails, compose mail and archive the emails easily and quickly. To turn on the keyboard shortcuts follow this steps. Go to settings and select the general tab. Go to keyboard shortcuts and select “keyboard shortcuts on”. Here you can find all the Keyboard shortcuts for Gmail. It make take a little time to remember all the keyboard shortcuts of Gmail, but it will eventually help you to get more done in less time. Many of Gmail users don’t try to archive their important messages with the archive feature.This will be useful for storing bunch of messages in a place safely.If you delete any message accidentally that will be stored in trash only for 30 days.By using this feature,you can store them life long.Just follow these steps to archive messages. Select the messages and click on Archive button on the top. Now they will be archived . Click on all mails on side bar. Check the box and click on “move to” inbox button. 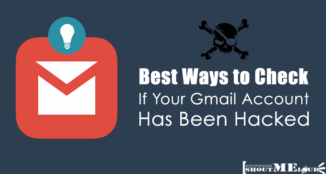 These are few of the many Gmail tips out here, but if you start following even a few of them, it will help you to use Gmail effectively. Especially, if you learn all the Gmail keyboard shortcuts, you will save a lot of time. 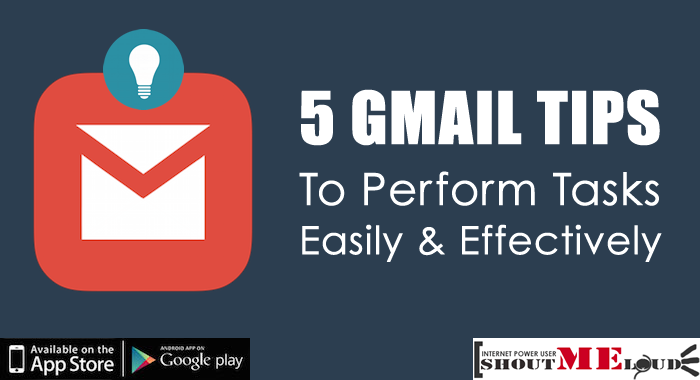 If you have any other tip for Gmail service, do share with us via comments. If you find this article useful, do consider sharing it on Facebook and Google plus. This is raman from vijayawada and iam interested in blogging,reviewing softwares.Presently iam pursuing mca in vijayawada. I always want to keep Gmail keyboard shortcuts so i got here useful info to setup. Awesome post. I had no idea you could use keyboard shortcuts in gMail, thanks for the tip. I was looking for the vacation responder and I couldn’t find one. But, thanks to your post. You made my life easier. How to Create Gmail Email Template and Why?